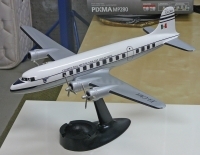 A beautifully painted and clear coated Pacmin done up in Mexicana by the Boeing model shop many years ago. Looks superb! Not for sale .. not for trade.